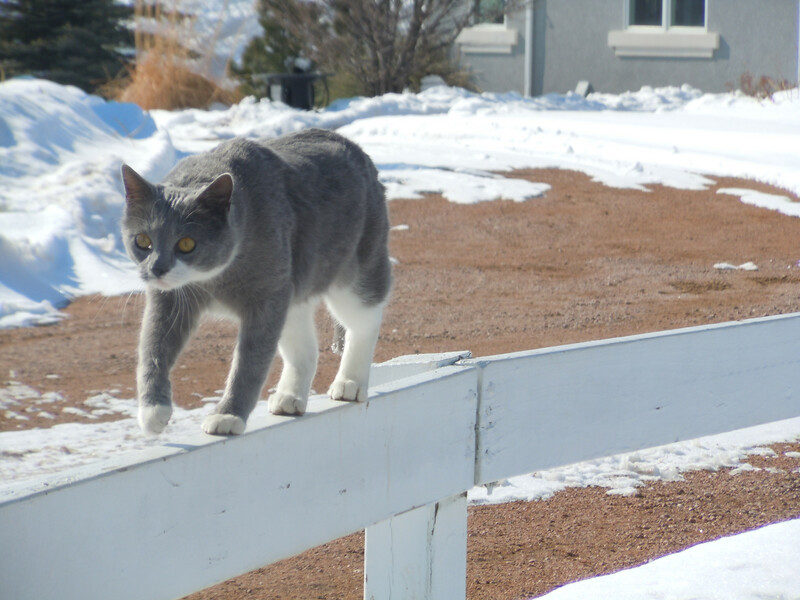 Mom was cleaning the barn the other morning (number of times I’ve used that phrase in a blog post: 4), and the kitties were gallivanting about, engaged in the usual cat pursuits. You know, running back and forth in the barn erratically, crawling around under the hay bales, doing backflips in the driveway for no particular reason, getting up in the rafters, and so on. She’d filled up her tub and was on her way to dump it in the wagon, when Whisper brought her his very first ‘offering’. This entry was posted in animals and tagged barn cats, cats, dead mice, kitties, mice, mouse, mouse trap, mouse traps, mouser. Bookmark the permalink. He is hilarious! I think this could easily become a blog about Whisper. Our family has never had cats before, so we spend a whole lot of time just standing in the breezeway, watching their antics. But Whisper is by far the most dynamic.